the one who sent the bombs, and there are equivalencies on left and right down the whole spectrum of menacing to actual violence. What matters to reasonable people is that they actually hear the other argument and not react to a straw man, false caricature thrown up by @Twitter. There was no plan whatsoever. Suddenly, I asked my wife if we can go to Arunachalam, the Teulgu name for Tiruvannamalai. Bored sitting at home, she was happy. After the usual and monotonous bus journey, we reached Tiruvannamalai after a gruelling five hour journey. It's a tall Linga, may be some 4 feet tall and you will feel the heat when you are near the Antaralaya. The darshan in that temple, one cannot easily forget. The temple is a massive fortress. 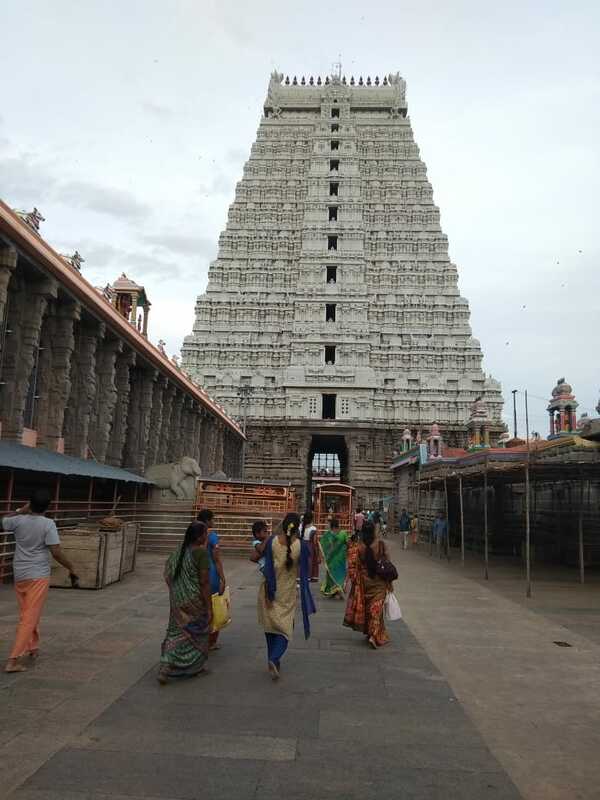 The 11 tiered Rajagopuram stands at a lavish 217 feet.